An effective social strategy can help grow your business, maintain your social presence and engage your audience with Social Media Marketing in Atlanta. We are a full service SEO agency. Our Atlanta social media marketing experts can help you establish your business objectives, identify your target audience, create engaging and share-worthy content and finally integrate all other aspects of your online presence with your Social Media Marketing in Atlanta. Atlanta Social Media Marketing strategies specifically conceived for your brand and your audience. You’ll get fully supported and managed social programs, content planning (and generation), blogger outreach and video distribution among other services that aim to attract new customers and increase your profitability. Our Social Media Services in Atlanta give you the possibility to connect and share information leading to an increase of the brand’s, product’s or service’s awareness. The results of Atlanta Social Media Advertising are reflected in the number of re-tweets, shares, comments, likes and views. Social Media Marketing encourages user-generated content from within the most popular social media platforms such as Facebook, Google+, Twitter, Pinterest and LinkedIn. 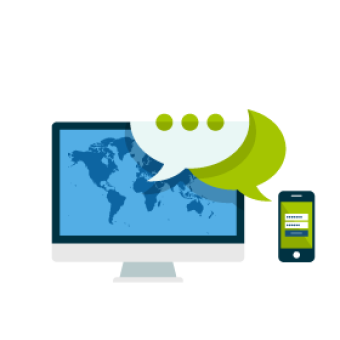 Our team can help you unlock the full potential of your social media marketing in Atlanta, SEO and online publicity!